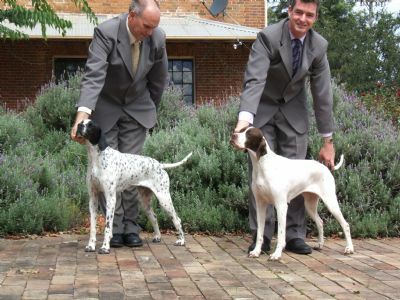 Jade is a daughter of the famous MBIS Aust Gd Ch Moruada Chocolate Chip. 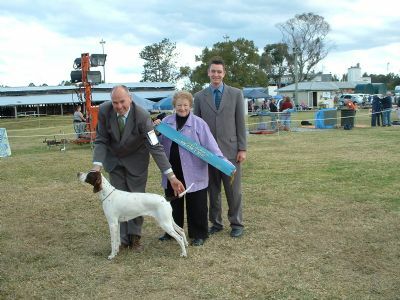 Jade a multi best in group, runner up best in group,class in group and class in show winner. She is just what a Pointer should be a series of "graceful curves".